Unsurprisingly, this rise in the geriatric population has also coincided with expanded medical technology, including the manufacture and sale of implanted devices. Diagnoses for arthritis and other orthopedic diseases and injuries are predicted to rise as the baby boomer population ages. Meanwhile, implanted devices for orthopedic injuries are already causing complications on a grand scale. Medical devices – often not scrutinized or regulated at the same level as drugs – can cause severe injuries or death when they do not work properly. Most devices are not tested independently but go through testing that is financed by the device manufacturer, so results are often skewed in their favor. The U.S. Food and Drug Administration (FDA) even has a controversial “fast track” 510(k) program that quickly approves over 3,000 new devices each year because they are similar to old devices. One study has shown that orthopedic devices approved by the 510(k) program instead of the much more comprehensive Premarket Approval (PMA) program are 11.5 percent more likely to be recalled. Yet, the FDA currently plans to expand this program. +Hip Implants: Tissue death, bone erosion and extreme pain are some of the problems caused by the defective DePuy hip implant. In November of 2017, six patients were awarded $247 million dollars after a jury found that DePuy parent company Johnson & Johnson lied about the Pinnacle hip implant. In 2013, The New York Times reported that Johnson & Johnson knew an all-metal hip implant would fail within five years in nearly 40 percent of patients who had the surgery. +Shoulder Implants: Zimmer Biomet has recalled three separate shoulder implants since 2010 because of patients who complained of severe pain, infection and permanent loss of shoulder function. +Knee Implants: DePuy was back in the news earlier this year when a man sued after his Attune knee replacement failed, causing severe pain and two follow-up surgeries. This followed a 2017 study by the Journal of Knee Surgery, which found that the Attune knee arthroplasty system experiences an “unusually high” rate of early failure of its tibial components. Patients complained of pain, loss of motion and effusion of body fluids. -Symptoms associated with metal poisoning if your implant is metal-on-metal: Skin rash, cardiomyopathy, sudden neurological or psychological changes, impairment of renal function, thyroid dysfunction. If you have any type of medical device in your body, be sure to check if it has been recalled by the FDA. Finally, if you think that a faulty orthopedic implant has affected you or someone you love, don’t hesitate to consider legal advice. Painful complications, follow-up surgeries and excessive medical bills should not be the price you pay for the mistakes of device makers. Georgia’s New Hands Free Driving Law is aimed at preventing car accidents and auto wrecks by reducing number of distractions drivers encounter. Safety officials hope that by keeping cell phones out of drivers’ hands, roads across the state will be safer. •	Holding or supporting, with any part of the body, a wireless telecommunications device or stand-alone electronic device. •	Writing, sending or reading any text-based communication, including a text message, instant message, e-mail or internet data. •	Watching, recording, or broadcasting a video or movie. The Opioid Crisis: America Fights Back! In the last 20 years, deaths due to opioid use have drastically increased. In 2016 alone, according to a special report from Time magazine, nearly 64,000 Americans died from drug overdoses – “roughly as many as were lost in the entire Vietnam, Iraq and Afghanistan wars combined.” An average of 115 people die each day from an opioid overdose, according to the Centers for Disease Control (CDC). Life expectancy in the U.S. – one of the richest countries in the world – went down in both 2015 and 2016. So just how did we get here? The original marketing for OxyContin as providing long-lasting and non-addictive pain relief was based on questionable research. Last year, 236 million opioid prescriptions were doled out in the U.S. The amount of prescription opioids sold to pharmacies, hospitals and doctors’ offices nearly quadrupledfrom 1999 to 2010, yet there was no overall change in the amount of pain that Americans reported. Deaths from prescription opioids – drugs like oxycodone, hydrocodone, and methadone – have also quadrupled since 1999. Until the mid-1990s, opioids were only prescribed for pain from severe injuries or to cancer patients. 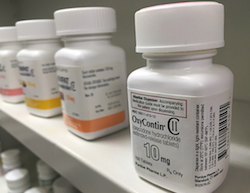 That all changed in 1996 with the introduction of OxyContin, an extended-release opioid from Purdue Pharma. This drug was heavily promoted to doctors as less addictive and therefore appropriate for more common conditions. 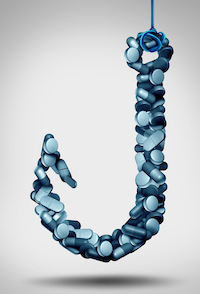 As prescription opioids became a cash cow for many pharmaceutical companies, they continued to trivialize the risks while overstating the benefits of opioid usage. Trial lawyers are working with advocates to hold opioid makers accountable. Addiction prevention and recovery organizations, law enforcement and health care advocates are doing the best they can to combat the many-headed monster of opioid abuse. Now, multiple states, counties, cities and other jurisdictions are banding together and filing lawsuits to hold opioid companies responsible for the consequences of the crisis. In so doing, they are borrowing a page from the playbook of Mike Moore, a lawyer and former attorney general for Mississippi. In 1994, Moore was the first state AG to sue the tobacco industry for lying about nicotine addiction and to hold them accountable for the cost to the public of treating sick smokers. He gathered lawyers and other AGs from across the country to take on Big Tobacco – and won. It was the largest corporate legal settlement in history, with 50 states participating and an enormous $246 billion agreement. This money funds smoking cessation and prevention programs to this day. Last year, Moore decided to turn his sights on Big Pharma. Since then, more than 400 cities, counties and Native American tribes have filed lawsuits against pharmaceutical manufacturers, distributors and pharmacy chains. In February, the Justice Department announced it was standing behind the plaintiffs and plans to file a statement of interest as well. Meanwhile, trial attorneys are working with the authorities in many of these jurisdictions to help claw back the millions spent on law enforcement, opioid-related crime prevention, and addiction treatment. Trial attorneys are also representing individuals and their families who have suffered the consequences of opioid addiction and forcing Big Pharma to acknowledge the shattered lives left in the wake of the opioid crisis. Make sure you are getting the right medication. Stay in touch with your doctor to make sure that the medication you are taking is working and that the dose is appropriate. Follow directions carefully. Use your medication the way it was prescribed. When you are nearing the end of your prescription, discuss the safest way to discontinue use and prevent withdrawal. Never use someone else’s prescription. Properly dispose of medications. Don’t keep unused or expired drugs. Check the label or patient information guide for disposal instructions, or ask your pharmacist for advice.